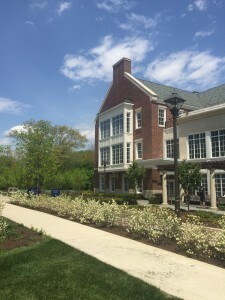 The Career and Community Studies Program offers group campus based experiences for students, families and educators who are unable to attend Open House and/or would like a glimpse of the academic courses and TCNJ campus. On campus experiences are held on select Wednesday’s and Friday’s during the Fall/Spring semesters and run from 9:00 AM – 11:30 AM or 3:00 PM – 5:30 PM. *Please refer to the preselected dates below to determine which schedule to anticipate during your visit. If you are interested in attending one of the scheduled on campus experiences, please email the following information to ccs@tcnj.edu. You will be notified of availability on your requested date. * Please note prospective students participate in the course. Parents/Educators attend the course as observers. * Select Wednesday’s – Your campus experience will start by 3:00 PM and end by approximately 5:30 PM. * Select Friday’s – Your campus experience will start by 9:00 AM and end by approximately 11:30 AM. * Please note Spring 2019 Campus Experience operates on a slightly different schedule than Fall 2018.